This entry was posted in Blog on April 10, 2019 by adminseo. Debt can’t be escaped in business. There’s no way you’re going to deny a long-term customer credit for the first time. Offering credit might even be the trick to make customers stick to your business. However, the problem comes when time to pay off the debts comes. Various reasons might make customers fail to fulfill their payment obligation to creditors. This even gets harder for international customers. Fortunately, you can contact a professional agency to handle debt collection on your behalf with less hassle. Recovering debts from international clients is a daunting task because of the distance and jurisdictions. Perhaps this has been making you think it’s impossible. Professional debt collectors recognise this problem and have a strong network with agents in different countries. When you need debt collection in a particular country, there’s a chance of the agency having a local partner to act on their behalf. Imagine recovering debts from an overseas client without your company being actively involved. Regardless of whether your client is in Spain, Germany, Africa, or South America, there’s no need to first go to language school to learn their native language. You’ve already noticed how a debt collection agency usually has local partners in various countries. These partners can undertake the debt collection process even when it requires communicating in the native language. Perhaps talking to people who understand them might make your debtors find it easy to fulfill their payment obligation. You can have a professional agency to handle all your business’ international debt collection to save time and effort. The agency will always be ready to resolve all occasional late payments with your international clients directly. You just have to give the agency authority to handle the matter whenever you feel it’ becoming persistent and causing cash flow problems. Clients are likely to realise that you’re deadbeat about debt collection when you use a professional agency. Their prompt action will save your business from financial hardships. Making effort to recover your money through a debt collection agency is a better idea than the tax relief you’re likely to get on bad debt. The reported loses are likely to make your business look financially weak. This is likely to affect your ability to get investor funds and credit in the future. The solution is to let professional debt collectors go after your international debtors. Luckily, this has higher chances of success since the agency has local partners who might understand the client better. A repeatable debt collection agency won’t threaten or annoy your clients to make them pay. This is very important to ensure that you retain your client after recovering the money Applying unethical business practices in a bid to recover your money will ultimately chase the client away. Professional debt collectors apply polite negotiations while resolving payment disputes with your customers. This ensures that the client oesn’t feel alienated after the ordeal. Regardless of the complications and protractions, professional debt collectors know how to handle different situations. The agency staff and partners will do whatever it takes to recover your money in the shortest possible time. Within a few days, weeks, or months, the debt collection agency will have recovered your money from international clients. 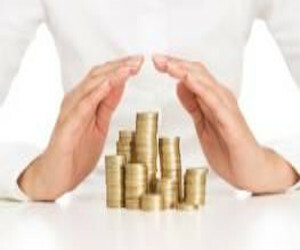 Finally, the most significant reason why to benefit from the services of a debt collection agency is the affordability. The agency doesn’t ask for any money before recovering the debt and has no hidden fees. So, expect no surprise charges and additional fees at the end of the project. Reputable debt collection agencies don’t request for upfront payment or a membership fee. You only give them a percentage of the money recovered. This motivates the debt collectors to work harder to ensure that the client pays your money for them to get paid as well. Cash inflow is the lifeblood of any business. For international customers who might be hesitant to pay, contacting a professional debt collection agency is a smart move.